Girls Summer Camp Registration is now OPEN! 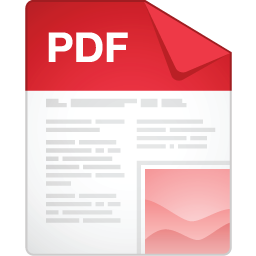 Flyers and information packets are included in this email! 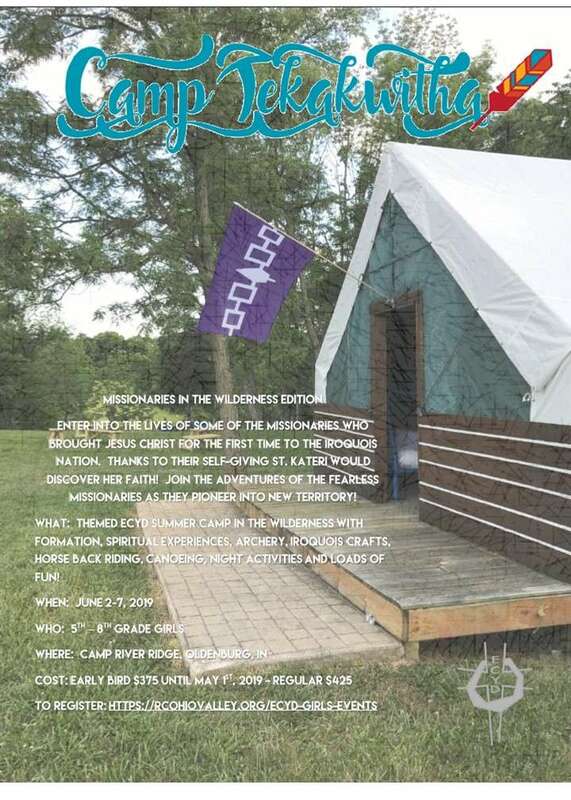 Moms and daughters can come enjoy an overnight camp out together, and girls can stay for Camp Inspire which starts the 16th in the late afternoon. $45 per child. Parents are free. Please visit https://rcohiovalley.org/ecyd-girls-events for registration information. 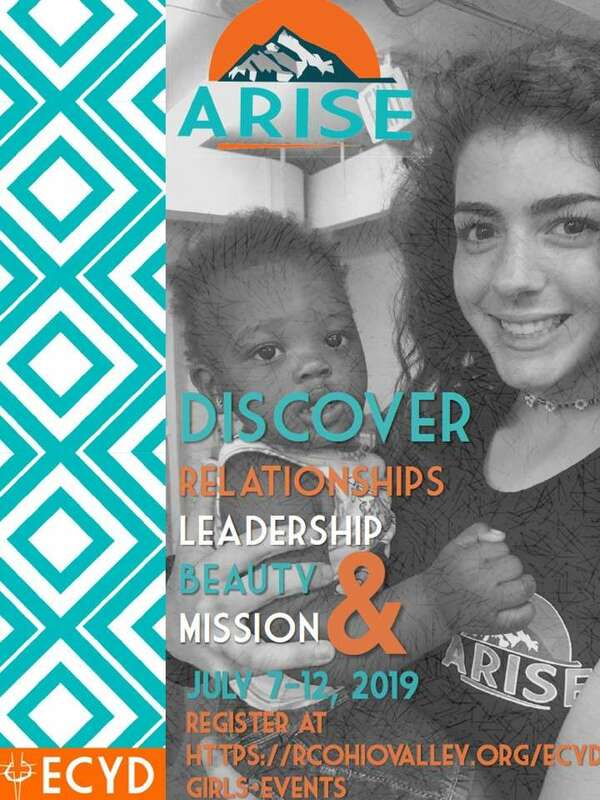 We are looking for young adults and moms to help as chaperones, preparing meals and with transportation to off site activities! 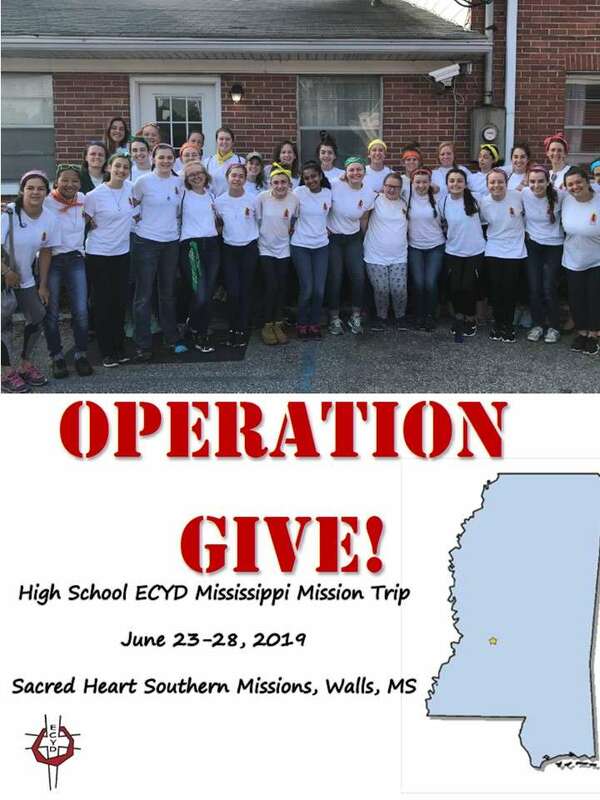 High school girls can apply to be team leaders/counselors for middle school summer camps. See below for informational flyer. Looking for summer events for boys? 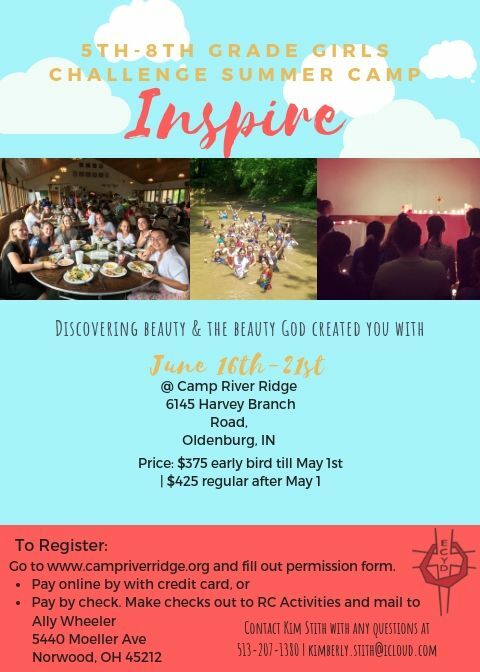 Visit www.campriverridge.org. Flyer below with full list of summer activities at River Ridge. 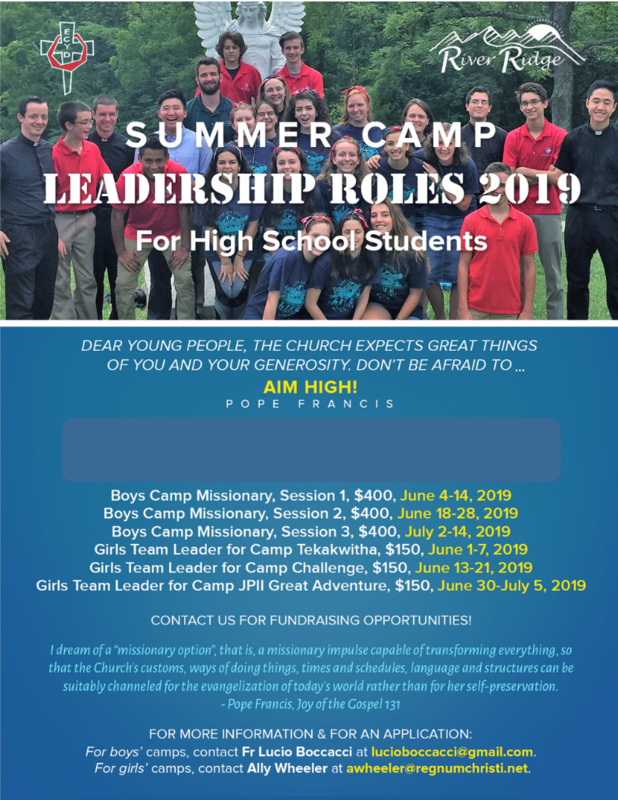 Scholarships available! 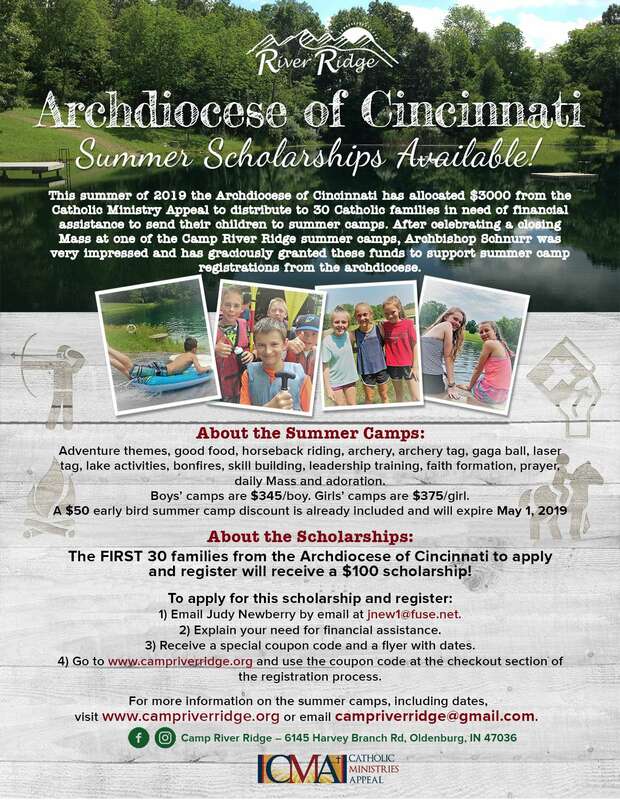 Do you live within the archdiocese of Cincinnati? 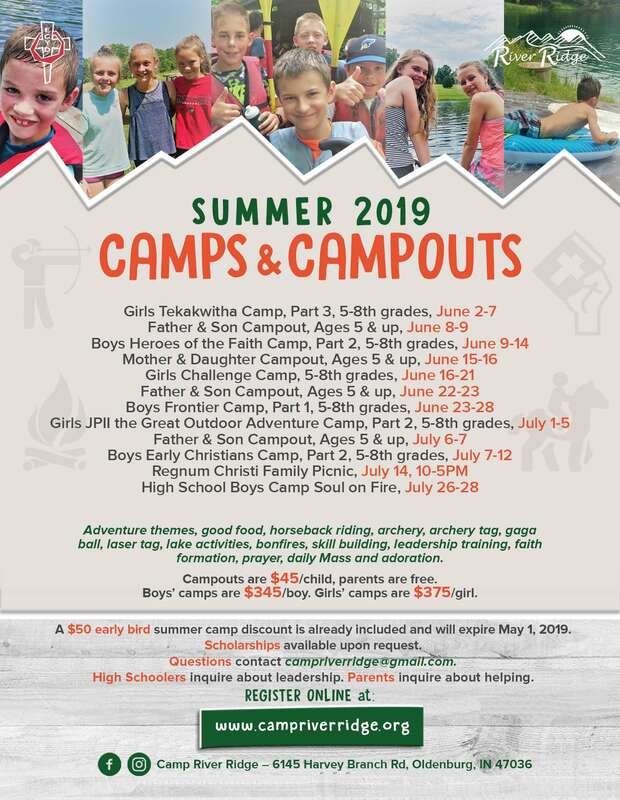 You could be eligible for a camp discount. See informational flyer included in this email.